We’d love your help. Let us know what’s wrong with this preview of Dimag & Mick by Tony Castro. To ask other readers questions about Dimag & Mick, please sign up. I thought the only love story, if any, I'd find in this extremely well-crafted book was the Marilyn Monroe-Joe DiMaggio romance that is standard fare in any book about The Yankee Clipper. Imagine my surprise to discover the touching account of Mickey Mantle and his first love, an actress named Holly Brooke. She is mentioned in almost every book ever written about Mantle but only in passing. In 'DiMag & Mick', though, Holly Brooke is a major part of the story. Author Tony Castro apparently tr I thought the only love story, if any, I'd find in this extremely well-crafted book was the Marilyn Monroe-Joe DiMaggio romance that is standard fare in any book about The Yankee Clipper. Author Tony Castro apparently tracked her down, and she is a treasure. She is an aging Broadway princess who lives on the Upper East Side, and her reminiscence and wit make for a remarkable story on its own. She helps bring Mantle's rookie year alive, having spent much of it with him, recounting her days with the young star, even in Kansas City when he was sent down to the minors in mid-season, and then there with him in his return, and his number change... going from 6 to 7 and why he did it. Holly Brooke also helps fill in the long missing relationship and friendship -- yes, there was a friendship -- between DiMaggio and Mantle. How often have we heard that they didn't speak until October 1951 in Game 2 of the Yankees' World Series with the Giants when Mickey tore a knee slipping in the outfield? And it's not just the writer saying this. There's a transcript of a CBS radio audio as the Yankees head off to opening day in Washington, and there's Mantle and DiMaggio bantering back and forth for several minutes -- well before the season ever really began. Interesting book about DiMaggio and Mantle. Corrected erroneous articles that they did not get along. Tony's newest book, 'Mantle: The Best There Ever Was,' will be released April 12, 2019, by Rowman & LIttlefield. 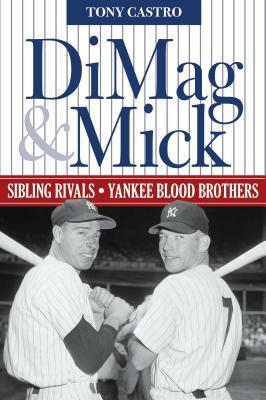 It completes his Mickey Mantle Trilogy that includes Mickey Mantle: America's Prodigal Son and DiMag & Mick: Sibling Rivals, Yankee Blood Brothers. He is also the author of critically recognized biographies of Ernest Hemingway and baseball legends Babe Ruth and Lou Gehrig. 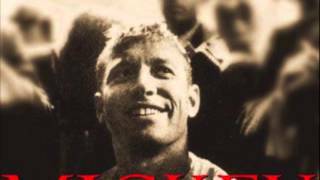 The New York Times hailed Tony's "Mickey Mantle: America's Prodigal Son" as the the definitive biography of the baseball icon. As a Nieman Fellow at Harvard University, Tony studied under Homeric scholar and translator Robert Fitzgerald, Mexican Nobel laureate Octavio Paz, and French history scholar Laurence Wylie. He is also a popular public speaker known for his wit and humor. He most recently lectured at his alma mater, Baylor University, on The Religion of Sports: From Michelangelo to Derek Jeter. Tony lives in Los Angeles with his wife Renee LaSalle and Jeter, their black Labrador retriever. Their two grown sons, Trey and Ryan, also reside in Southern California.